The Rebel Sweetheart. 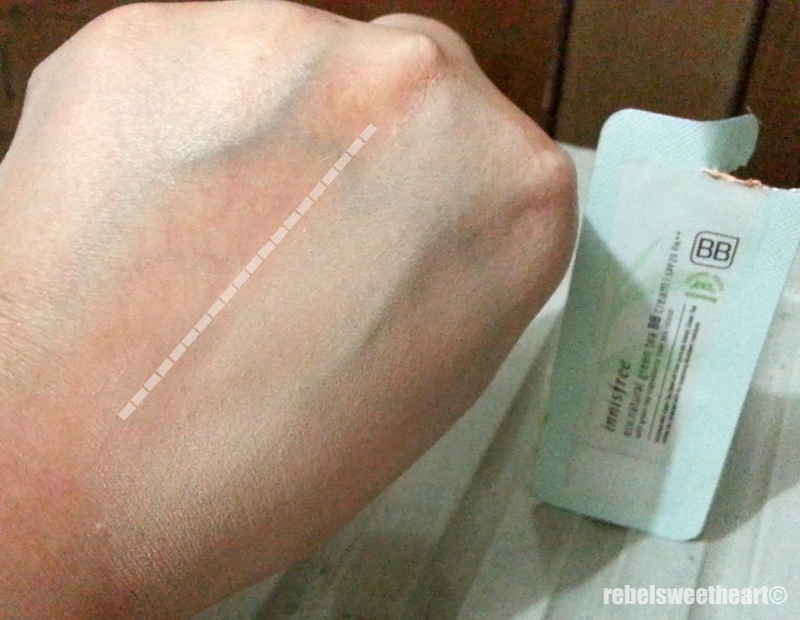 : Project BB Cream | Innisfree Eco Natural Green Tea BB Cream. 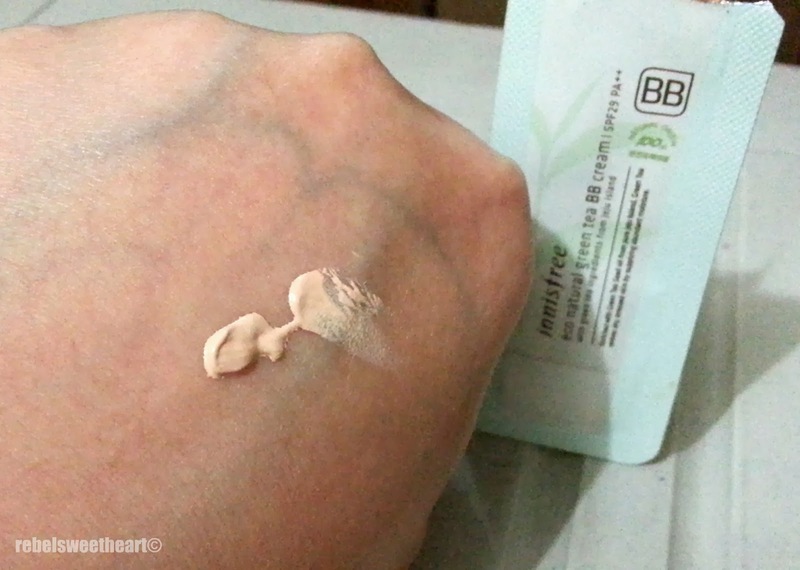 Project BB Cream | Innisfree Eco Natural Green Tea BB Cream. I was on the verge of purchasing a new BB Cream over the weekend, after having received gift certificates from one of my favorite online shopping sites. However, the penny-pinching side of me suddenly remembered that I still have a few BB Cream samples in my makeup stash, all waiting to be tried. Thus, I decided to save the gift certificates for a rainy day and just make do with what I have right now. And with that, I give you my review of the Innisfree Eco Natural Green Tea BB Cream - the 14th BB Cream that I have tried since I started this blog (in 2011) and began my love affair with Korean makeup brands. What I have is the 4mL sample size, which looks like this. 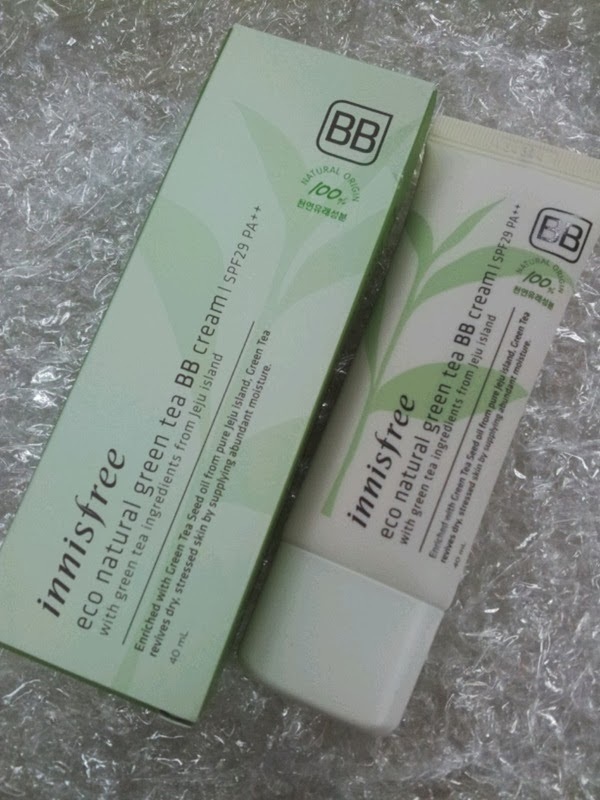 Innisfree Eco Natural Green Tea BB Cream. This BB Cream comes in two shades, #1 Bright Moisture and #2 Natural Moisture. This one is the latter. Mostly (as in 95%) Hangul text at the back. Go for the full size and you get a 40 mL plastic squeeze tube, which look like this. Full sized tube, 40 mL. While there's mostly Hangul text at the back of the sachet, the description in front is enough to give you an idea of what this BB cream contains and what it does. 'Enriched with Green Tea seed oil from pure Jeju Island. Green Tea revives dry, stressed skin by supplying abundant moisture." And as you can see, it has SPF29/PA++ - a pretty decent SPF number for me. Now here's how the product looks like. The shade has yellow undertones, and is a lot lighter than what I was expecting, considering this one is the 'darker' shade among the two variants. Kinda reminds me of Skin Food's Good Afternoon Honey Black Tea BB Cream - perhaps the palest shade of BB Cream that I've tried. The texture, however, is thick and it's a bit tricky to blend. Squeeze out too much and you'll get a slight grayish cast on your face. But with the right amount and proper blending, you'll get light to medium coverage that's good enough to cover skin imperfections. Wear time is okay - about six to seven hours with a primer on. I must say though, that I did feel a bit of oil in my T-zone by the fourth hour (I wear eyeglasses, take note) which I needed to blot off and dust with a bit of powder afterwards. And voila, it adjusts to my skin tone nicely! Now while I do love the dewy finish and the natural glow this product gives, I am not crazy about the scent. To be brutally honest, I abhor dislike it at the first whiff. It smelled funky, like some Oriental medicine or something, and nothing, I say nothing, like green tea. So for someone who hardly complains about the scent of makeup and cosmetics, this is a first for me. It wouldn't have been an issue if the scent goes away within minutes, but no, the scent lingers longer, much too longer than I would have wanted. - Contains green tea, which moisturizes the skin and delays skin aging. - Light to medium coverage. - Gives the skin a natural, healthy glow. - A bit tricky to apply. - Oil control is so-so. LIPS: EOS Blueberry Potion, Miners Matte Factor in Warm Red. I have not yet had the chance to use the BB cream, but I have heard great things about it! I love that it has green tea I think that makes my skin feel a lot smoother. I haven't tried this cream before. I haven't heard of it before but I will be looking for it. Green Tea on BB cream - is oh so natural- I hope I can try it soon. I am a fan of all natural BB creams so this one will be on my list - By the way, it look so nice and natural on you - pretty ! Never heard of this product before. I like that it lasts a while before you have to reapply. This is the first time I encounter this brand, and thanks for the review. ang dami nang bb creams!! currently Im just using Body Shop and Human Nature cosmetic products kasi yun lang daw safe sa buntis "_"
I'm super curious about Innisfree. I didn't buy any of their products when I went to Korea because I was too busy hoarding Laneige, lol. I have a ziploc full of samples and need to actually use them too! I save them for traveling. I have not tried that particular BB cream, but I do have one that I love. I'm always looking for a fabulous new bb cream! this one sounds amazing! Thanks so much for sharing! loved seeing all the pics! 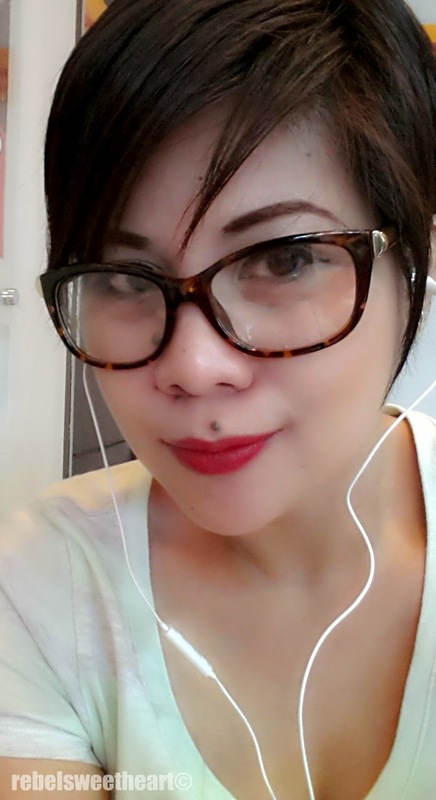 Kelan kaya ako magkakaron ng time magreview ng bb cream? Same tayo ang dami ng na try na bb cream. ako around 20+ pero halos lahat kasi sample sizes na sachets or 5ml. yung full sized ko lang is skinfood peach sake tapos pre loved pa. I've heard na din yung Innisfree dati pa kasabay ng Skin 79. How's the scent?hindi sya ok like ng mga green tea skin care products? Hi Kath! Not happy with the scent of this one. Malayo ang amoy sa green tea, haha.